Airsoft Softwair has just released a very special Easter egg for all Hollywood users: A Hollywood plugin for videos created with Gold Disk's famous MovieSetter tool. 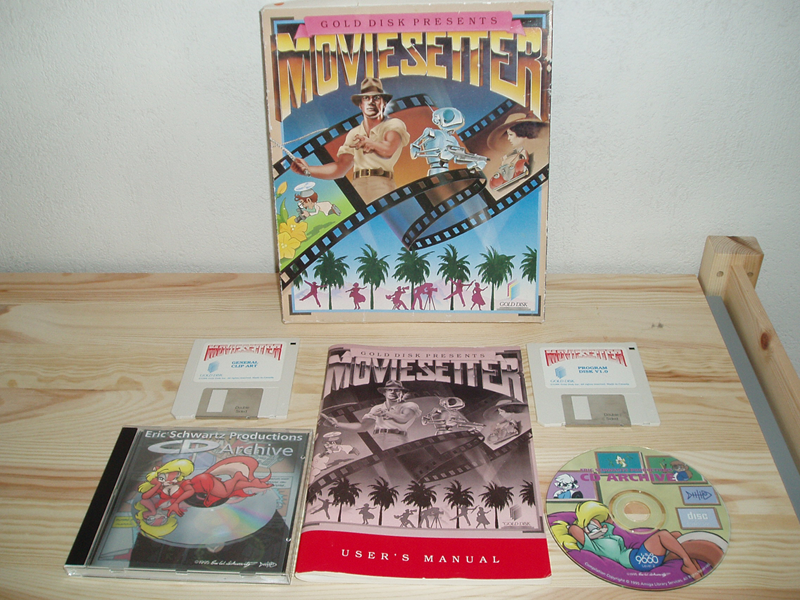 MovieSetter (photo for collectors) is renowned in the Amiga community because it is the tool which Eric W. Schwartz used to create his legendary clips like the Aerotoons (screenshot), Flip the Frog and Clarisse Cat, Sabrina, the intro of Team17's Superfrog (screenshot), the very funny Anti Lemmin' Demo (screenshot), and of course the Juggette clips. Unfortunately, the original player written by Gold Disk bangs the hardware quite a lot and thus doesn't run on modern systems. 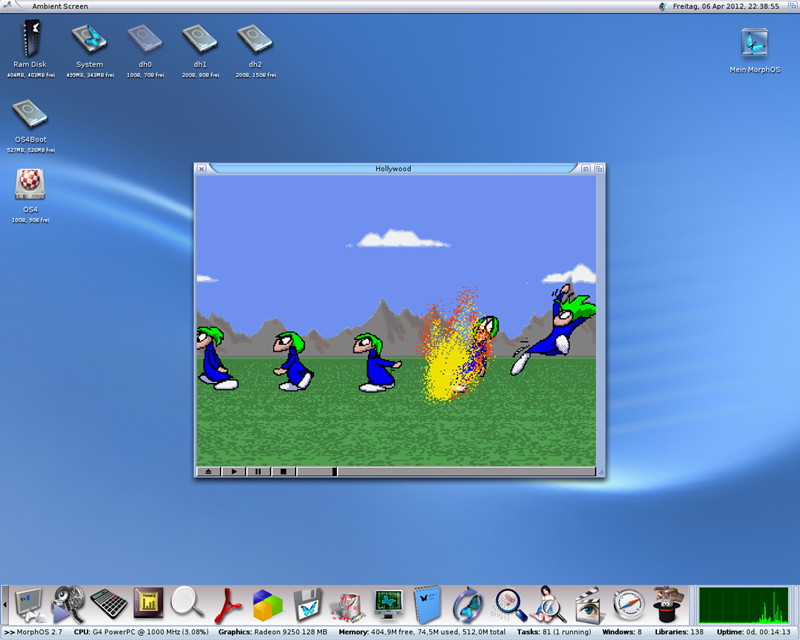 But with the Movie Setter for Hollywood plugin you can now for the very first time experience Eric W. Schwartz's great animations in all their glory on your AmigaOS 4 or MorphOS system - fully PPC native with retargetable audio through AHI and RTG graphics as well! Only Hollywood makes it possible! You can download the plugin from the official Hollywood portal. Thanks to Hollywood 5.0's cross-platform plugin system versions for AmigaOS3 (Classic), AmigaOS3 (FPU), AmigaOS4, MorphOS, WarpOS, AROS (Intel), Linux (PowerPC), Linux (Intel), Mac OS (PowerPC), Mac OS (Intel) and Windows are provided. As a special convenience service we have also created a single archive that contains most of Eric's animations in just one file. You can download this file from here. 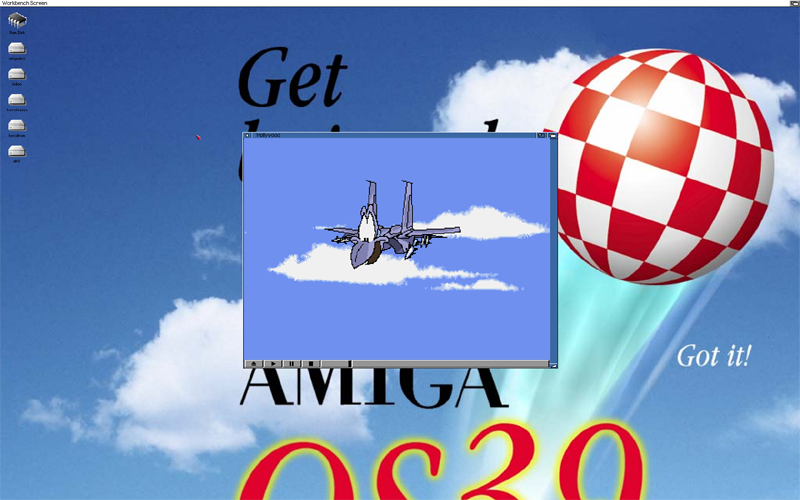 Airsoft Softwair wishes all Amiga users a Happy Easter! It´s great this plugin system.It makes Hollywood even better! The pluggin works fine on AmigaOS4 but under Windows 7(where I tested) not, I installed the pluggin in the Hollywood folder even inside the VideoPlayer folder but it isn't work. Is this a 64bit or 32bit version of Windows7? WIndows 7 of 64 bits both in the PC-Atom and the Notebook with Intel core to avoid problems with the software. Ok, I think I've found a possible issue. Will be fixed, thanks for reporting.